Nanny Jackson (Michigan) wanted? You will find a reliable nanny in Jackson (Michigan) here. We have 1 active nannies in Jackson (Michigan) matching your search criteria and even more in the neighborhood of Jackson (Michigan)! Nanny Jackson (Michigan) wanted? There are 1 active nannies in Jackson (Michigan) matching your search criteria. 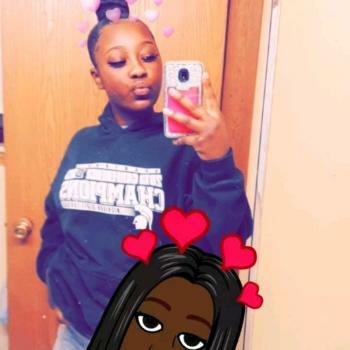 My name is dashae ive raised my twin neices since 2016 and my nephew who is currently 9 months im help around the house looking for a family that is loving i can teach ive took care.. Through the Babysits community, you can find nannies from Jackson (Michigan). If you are looking for nannies in Jackson (Michigan), then you are in the right place! Are you looking for nanny jobs in Jackson (Michigan)? You can sign up for free as a nanny!